Have you decided to upgrade your store to the powerful Magento 2 platform from either Magento 1 or another eCommerce platform? We think you’ve made the right choice, but the journey of realising all of the new Magento 2 features can be daunting without the right partner to guide you through the upgrade process. Benefit from over a decade of experience in developing and migrating Magento websites by letting Rixxo plan, execute and optimise your upgrade to Magento 2. This answer varies from business to business. 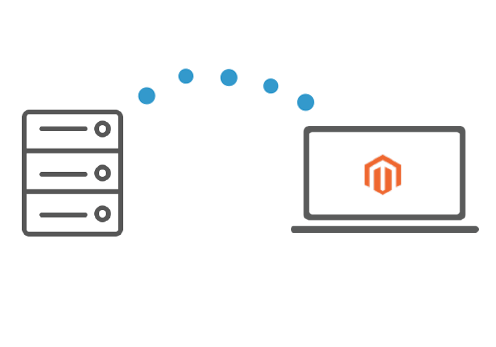 Magento has confirmed they will continue to support Magento 1 Community Edition for the foreseeable future, but you should begin planning to upgrade to Magento 2. If you are using Magento 1 Enterprise Edition, now is the time to start considering. Any development begins with our discovery and planning phase called Foundations, but as a first step, get in touch with us and a Magento Certified Solutions Specialist can make suggestions specific to your business requirements. Upgrading to Magento 2 from Magento or another eCommerce platform is a great opportunity to revisit your site design and functionality to ensure maximum performance. We use all of our experience gained during countless site migrations to ensure your upgrade is as smooth and cost-effective as possible. We plan every aspect of your site migration during our proven research and planning process: Foundations. We use our experience to ensure any risks or opportunities are identified and incorporated in our agile project plan before even a line of code is rewritten for Magento 2. The migration process is undertaken using an agile methodology to ensure delivery on time and in budget. We focus on ensuring all of your extensions are compatible and themes translated into the new Magento 2 framework before migrating your data. Once your move to Magento 2 is completed and your site is live, the real work begins to happen. We will work closely alongside your team to develop additional functions and optimise your store’s performance under a support agreement or retainer basis. Ready to discuss your upgrade to Magento 2?